Biofeedback, as its name suggests, gives users information about what is going on in their minds or bodies—information that normally they would not be able to obtain. Armed with this information, the user can learn to control various biological processes as well as to monitor mental and emotional states. After a user decides on an area for improvement, the biofeedback program guides him or her through the process of learning to make changes. Biofeedback addresses physiological states related to stress responses in the body. By learning to control these physiological responses, stress and anxiety are better managed. Some of the equipment is designed to give feedback about muscle tension, brain wave activity and heart rate, for example. The primary physiological factors addressed with biofeedback are muscle tension, focus, as measured by brain wave activity, and relaxation in general as measured by “heart rate variability” or HRV. Muscle Activity (EMG), Heart Rate Variability (HRV), Neurofeedback, and Interactive Metronome are types of biofeedback being applied to sport performance. Electromyography (EMG) is a fancy word for the process of measuring the electrical activity in a muscle. You can do a simplified version of muscle relaxation training at home without the expensive biofeedback equipment. Begin by noticing what happens to you when you are focusing on something intensely. Do you clench your jaw; tighten shoulders, hands or any other muscle group? Compare this with how much muscle tension is present when you are relaxed. Then when you ride, notice if you are carrying excess tension anywhere when you are focusing on any particular task or movement. 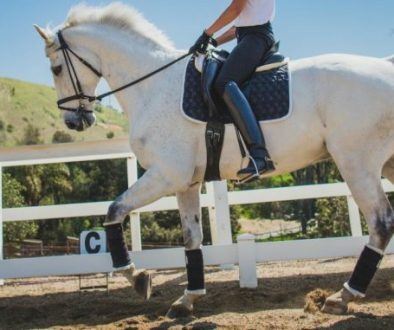 Tensing the wrong muscles while riding can result in misapplied cues and timing problems, not to mention how uptight it might make some horses! 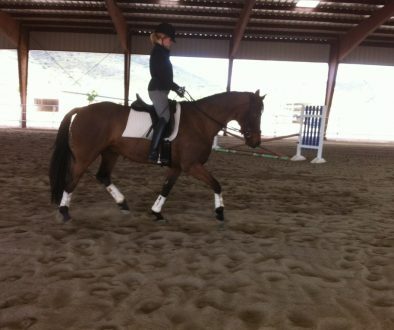 Practice relaxing at will whenever you find any unnecessary tightening in your body both on and off the horse. In time you will get very good at maintaining relaxed muscles. 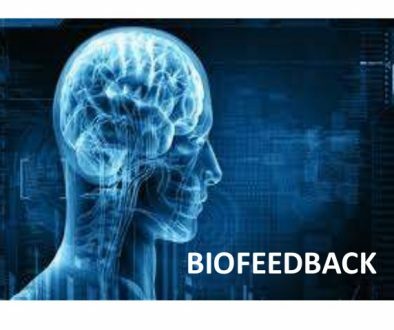 For more information on riding with Biofeedback, click here. Heart rate variability (HRV) is another measure of physiological relaxation and focus. Relaxation and optimal focus are important for high performance in any sport. Riding is no exception. When you are relaxed your heart rate speeds up very slightly when you inhale and slows a little when you exhale. This is not going to be possible to accurately measure without some type of biofeedback equipment, but fortunately there is a small, relatively inexpensive gadget that is well worth the investment. It is called the Em-Wave and can be bought online (less than $200). This is a great training device that could be bought and shared by you and your barn mates and I highly recommend doing so. It includes a program you can download to your computer for practice at home while you are learning. What I really love is that the basic unit is small, portable and you can actually ride with it (using an ear sensor) and can learn to maintain high heart rate variability while riding. Anyone who tends to be stressed, anxious or fearful—either in competition or in daily riding—can benefit from this training. If you are not ready to invest in an Em-Wave yet, you can download a free app to your cell phone called “My Calm Beat” that teaches you the type of breathing associated with good HRV. There’re two other types of biofeedback helpful to riders, but these must be done with professional guidance. 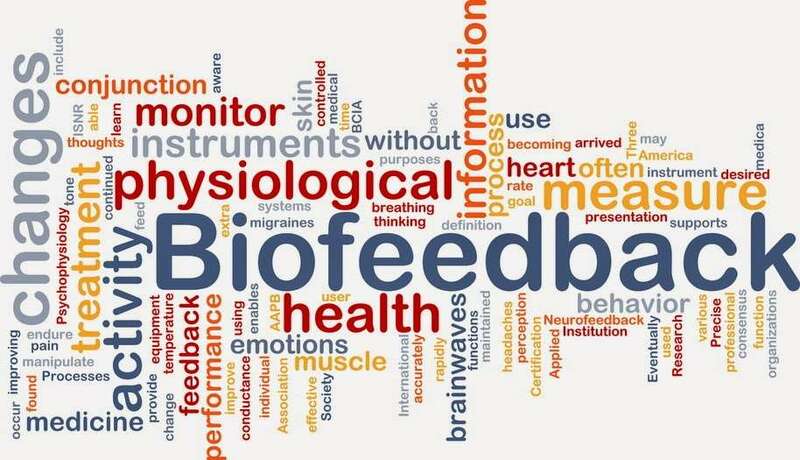 View the other types of Biofeedback by clicking here. © 2018 EquExcellence All rights reserved. Unauthorized duplication is a violation of applicable laws. The creators, producers, participants & distributors of this program shall not be held liable in any way whatsoever for any and/or advice given on this site. Viewers and members engage in horse sport and activities related their in, do so at their own risk.